The Heishuiguo site is located in a place which is 3km northwest away from Xiaya village, Mingyong town, Zhangye city, Gansu province. It is a site where copper smelting happened at about 2100B.C. in the middle reach of Heishui River. 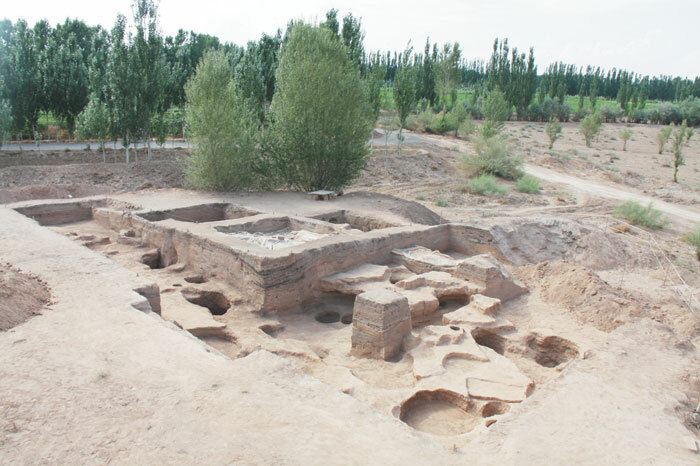 Based on the previous investigation and research, the Investigation Team of Hexi Corridor Early Metallurgical sites, combined with Gansu Provincial Institute of Cultural Relics and Archaeology, the Institute of Metallurgy and Materials History of University of Science and Technology Beijing, carried out three times investigation during 2007 – 2009, and found two sites where the early metallurgy happened. Later on, under the authorization of National Cultural Relics Bureau, two joint excavations were carried out in 2010-2011 by Gausu Provincial Institute of Cultural Relics and Archaeology, the Institute of Archaeology, Chinese Academy of Social Science, the Institute o Metallurgy and Materials History of University of Science and Technology Beijing, and Northwest University. So far, an area of 345 m2 has been excavated, and there have been 180 features discovered, mainly including house ruins, ash pits, kitchen ranges, kilns, trenches, separate walls and tombs etc. 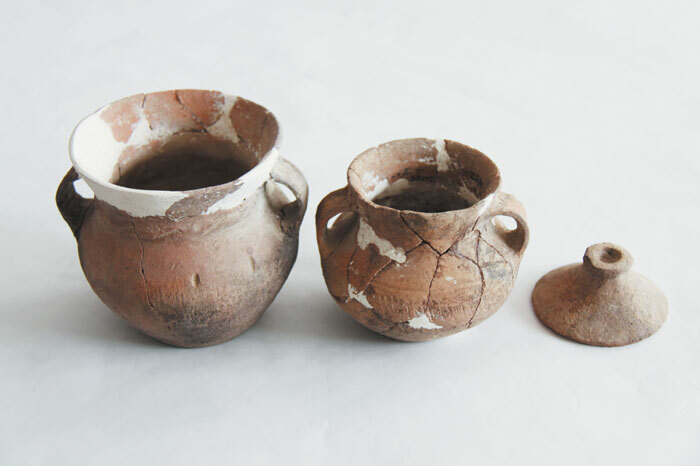 While over a thousand of various kinds of cultural relics were obtained, including potteries, lithic tools, jade artefacts, jade materials, bone artefacts, bone materials, copper artefacts and large number of smelting cultural relics and carbonized crops, etc. There have been 19 house ruins discovered, including ground adobe building, ground column construction and semi-subterranean building. It is the first time to find the ground adobe building in the Hexi area. The ground adobe building includes square and round types. While the square house ruins mostly had multi-rooms and their walls were made of mud bricks. Moreover, this type of house had large load-bearing pedestal and part of the house floor were paved with mud bricks. In addition, blocks (lithic tools), animal bones (including cattle talus, sheep talus, ribs, mandible, limb bones), pottery shards and so on were discovered to be paved along the walls under some houses. The paved relics were arranged in order, that was, the blocks were mostly square shaped (one of them was stone adze) or sphere shaped, and these two types were paved alternately, possibly showing some special religious meaning. The round houses were represented by 11ZHBⅡF3, which was almost round shaped. F3 covered about 5.3 m2 (calculated based on a round) within the excavated area. On its east, there was a gap in the wall, possibly the doorway of the house. The remained wall of F3 was about 20cm in width but different height (30cm as the highest height and 10cm as the lowest height). The wall was inclined from east to west and part of the wall was destroyed by ash pits. The wall was built with mud bricks or mud bricks, red mud and grey earth mixed together. 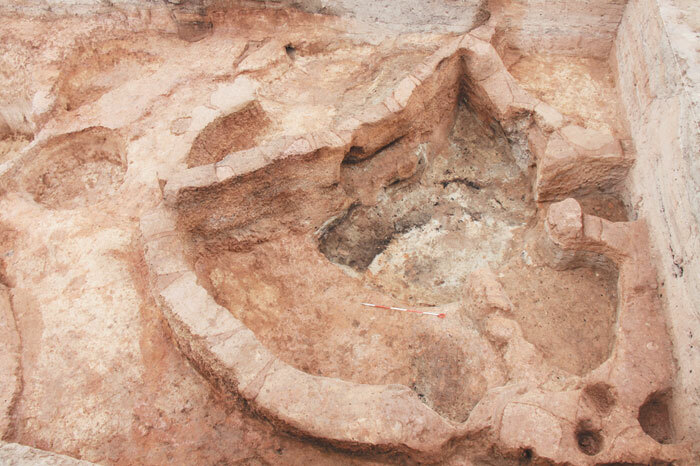 The discovery of adobe buildings supplied important materials for further studying the residence styles and the process of their forming and developing from the late Machang variant to the early Siba Culture in the middle reach of Heishui River. There were 11 tombs excavated, most of which were located inside the house ruins and were children’s. These tombs were square earth pits. Taking M1 as an example, it was a square earth pit with 78cm in length, 35-40cm in width and 225° in direction. And it was 82cm underground. A small niche was made into the wall which was to the west of the human skull and faced to F3. In the niche, there were a pottery li鬲tripot，a pottery guan罐jar and a lid which was placed on the jar. Near the human skull, a dog mandible and a small number of other animal’s bones were found. Also teeth of a mature were found there. A large number of beads were found around the human bones, particularly near hands and neck bones. Around the skull, several cowry ornaments were found. The bones of the tomb owner were small, and were a child’s, aged 2-5 years old. There were over 30 coppers artefacts unearthed, all of which were small coppers, including knives, basement of bullets, rings, chisels and so on. 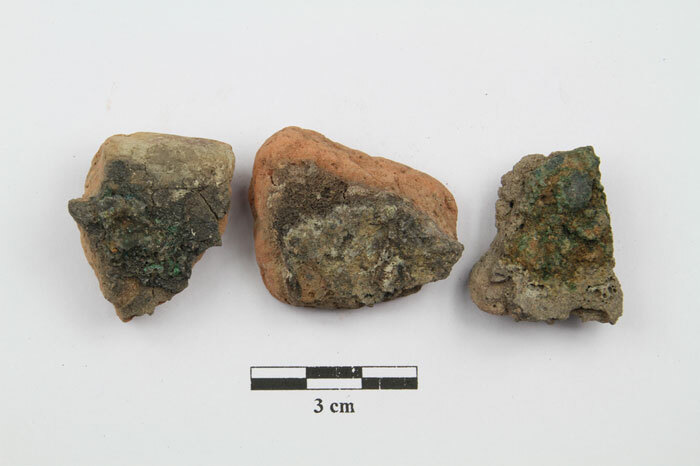 In addition, a large number of culture relics related to smelting were discovered, including slag, ore, furnace walls, blast pipes, stone models and so on. This is the first time to obtain the metallurgical relics with clear cultural stratigraphy through scientific excavation and also metallurgical material with earlier chronology in northwest China, based on the previous investigation. They laid a foundation for recovering the copper smelting technology during the late Machang culture to the Siba culture, and revealing the characteristics of the technology and the degree of the techniques, and confirming the features, quantity of the products and exploring the source of materials and the distribution of the products. They also supplied new materials for studying the early copper smelting technology in China. The discovery of the products made of turquoise, agate, crystal, gagate, pearl, clam shell, etc. supplied physical evidence for the early cultural exchange in the Hexi area. 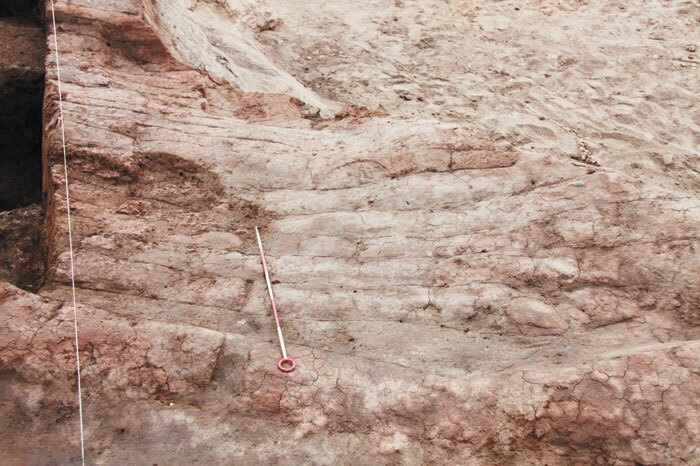 The unearthed carbonized crops, including barley, wheat, millet and so on, had the clearer cultural stratigraphy and larger quantity since these types of crops were found at the Donghuishan site, Mingle, in Ganqing area. The research of domestication geography and plant cultivation showed that millet was originally from the west Asia. While the mud bricks also first occurred in the west Asia. The discovery of millet and adobe buildings proved again that the Hexi Corridor, as cultural exchange passage between East and West, had had frequent contact with West at least in 4000BP.